We went to Malacca for holidays recently – we picked Malacca primarily because we have heard about it, have read about it, we knew it is on the UNESCO’s World Heritage list and in fact, have several times passed through it (couple of years ago) but we had never really stopped and see the heritage places in Malacca. So we decided for the holidays, we will actually stop and visit the heritage & historical places in Malacca. Sadly accommodation was not up to our expectations but it was my mistake anyway. I should have done more “research” on the so-called 3 star hotel before I booked it. By the time we realized our mistake, it was too late – most of the other better hotels have been fully booked and we even saw people coming over to our hotel looking for rooms to stay for the night, only to be turned away. Anyway we decided not to have our holidays ruined due to a “glitch” in accommodations. After all, we only need it to sleep for the night – we were out early in the morning and only come back late in the evening. For those who have been to Malacca, you know the drill – the places to visit, the food to eat and things to do. We had done some planning ahead of our trip and basically knew what we were planning to do on daily basis and in a way we did. I say “in a way” because unlike many who ventured into Malacca for the first time, we did not ride on a beca (we rather walked – it was faster and cheaper), we did not buy the ticket to go up the Taming Sari tower (it was raining and I guessed there were nothing much to see from the top with the heavy clouds. Besides, the ticket seemed too expensive – we rather spent it on food and souvenirs), we did not go for the satay celup or the chicken ball rice (the queue was just too long) or the Portuguese food (my wife was not feeling well) but we did go for Peranakan food and a long waited steamboat treat. And out of the many things we did, we finally managed to visit the famed A-Famosa fort. The reason I say this in an “excited” manner is because all this while, since the day I saw the picture of the fort in Buku Sejarah in my primary school, I only have the seen the front of the fort (or rather the front gate) – the rest of the fort was destroyed by the English in 1806 (and not the Dutch as I always thought in the past). What is inside remained a mystery and only now that question has been answered. Yes in the end, there was nothing but only bricks and mortar (and an old man with a violin). But it was satisfying – I touched the bricks and imagined the Portuguese and the Dutch in the old Malacca with the full glory of the Malacca Sultanate with its famous warriors like Hang Tuah and Hang Jebat facing each other in the background. I imagined the guards staying at the front manning the cannons. Perhaps in time, someone will recreate the fort as whole – in its glorious days for the future generation. That would be interesting indeed. If one wants to see the so-called 1Malaysia in a true sense from the historical pages – Malacca seems to be the place. Malaysian in many form, culture and background – Malays, Chinese, Indians, Baba-Nyonya, and Portuguese descendants and yes, count the Singaporeans, Indonesians and Bangladeshis in as well – there were more Singapore registered cars than Malaysia registered cars at the hotel car lot. There were plenty of cars in the city indeed – made worse by the long public holidays. Traffic was bad but it all depends on how far is the hotel from the heritage and historical places. Walking around town would be the best but if there is a kid tagging along (like in our case), struck that out. Taxi on the other hand was way too expensive (we were taken for a ride on the first day – a short trip cost us RM10). So we opted to drive instead – that solved one problem but created another – where to park especially along the narrow one way streets with limited parking lots dotted along in Malacca. We parked far and did some walking – thankfully my son was up to it – especially when we decided to go to Jonker Walk. It was a good trip and we have promised ourselves for another trip to Malacca very soon – but this time with a better hotel of course and perhaps do things that we opted to miss in this trip (more on food than others). To tell you the truth, the subject of history have always fascinated me. I hated the subject when I was in school; somehow the subject was made to be so boring. It was nothing but memorizing boring facts from an equally boring text book, taught by another boring teacher. It was something that I did not expect from the subject of history – a subject which I loved when I was small and discovered a thick history book in English in my childhood neighbor’s house. It was lying on the table – the cover half torn but something about it caught my eyes. I opened and immediately noted that the content was comprehensive and laced with old photos. I asked permission from the owner, the neighbor’s eldest son and excitedly brought back home and threw myself in going through the details. The history book was laid in simple but comprehensive English. It had several chapters covering the major civilizations in the world. It kind of kept in my possession for several years (the owner decided that it will be useful to me than him). But still, at the time I was slogging through the school and was on the way to greater things, the content of history was still kind of balanced – a bit of everything but just enough for a stressed-out student in national schools. Then when I was in Law School, there was a bit touch of history when I did Jurisprudence and it was interesting. Then the History and Discovery Channels came through Astro and that wiped out my whole understanding of what is history. I learned about the Romans better through the Discovery Channel than the time I read about them from the books. History is now comes in better visuals – almost CSI like investigative presentation and facts backed by evidence and more balanced insights. History is now backed by science, eye-witnesses and new evidences. Several years ago, I saw a school History book on my colleague’s table – it was his daughter’s and he had to bring it to work for him to get some photos from the net for her daughter’s assignment. I glanced through and I was shocked – after a long time I had not looked into the school books (still having the phobia), it appeared to me that the standard of learning history has gotten to a new low. The content was too simple, focused more on certain civilizations and the other equally rich background civilizations seemed to be made in the passing. History textbooks are biased and littered with errors, claim two authors and academicians. Dr Ranjit Singh Malhi and Ng How Kuen, who write history textbooks for Chinese schools, say their experience with officialdom does not augur well for the teaching of history in our classrooms. Ranjit, author of secondary school history textbooks since 1990, and adviser to the Ministry of Education (MOE) on history textbooks, said such materials were littered with factual errors and distortions. He said that when he pointed out the errors and distortions, a ministry official labelled him “anti-national”. “Secondary school history textbooks have been used to promote political interests. It should be a scholarly pursuit and not politically-motivated,” said Ranjit who showed theSun history textbooks with errors and exaggerated facts. “Five out of 10 chapters of the Form Four history textbook deal with Islamic history as compared to only one chapter in the earlier textbook. The intention of the earlier syllabus was to expose our students to World History,” he said when commenting on the announcement that the history syllabus is being reviewed and that the subject will be made a compulsory pass in the Sijil Pelajaran Malaysia from 2013. “The coverage of important historical events such as Renaissance and Industrial Revolution has been reduced by more than half,” he said. He also said certain historical personalities, such as Yap Ah Loy (the third Kapitan China of Kuala Lumpur), were not given due recognition. Yap played a major role in the development of Kuala Lumpur as a commercial and tin-mining centre, particularly after the fire of 1881,” he said, adding that the Form Two history textbook had only one sentence on Yap as “one of the persons responsible for developing Kuala Lumpur”. But then again, I only looked at one book and have not been following on the “evolution” of the history contents in school books since I left school. In the age of broadband internet and satellite TV, learning the history is no longer confined to school books. There is more than one avenue from where one can learn what had happened in the past. And when it comes to what need to be taught as history in our national schools – we are indeed at a cross road. Do we strip away the wealthy facts of history from the other civilizations and the original immigrants and only focus on what happened in Malaysia long, long time and the people who been here before the British? Or we look deeply into what we can learn from history regardless of civilizations and the people behind the key events in history (like Mahatma Gandhi or Lawrence of Arabia)? It only seems right that the young ones learn about the history of Malaysia and its people first before we can start exploring on the history of the world. But at the same time, the history of the country should not politicized or distorted or allowed to be factually incorrect. Yes, history has been written and rewritten by the majority, by those who have won over major conflicts, by those in power and those with the money. Just imagine how our history books would look like if the Nazis have won the Second World War or if Parameswara have not decided to escape from Singapore and founded the Sultanate of Malacca? So, certainly the content of the history books would be “adjusted” accordingly. But what is not desired if even the known event in history has now been riddled with factual errors and major distortions. Setting aside the factors of biasness and racial tone of the argument, that is the point that Dr Ranjit is trying to make is valid. It does not matter that “5 out of 10 chapters of the Form Four history textbook deal with Islamic history” – it is still part of our history but what is needed is that history (no matter which area of the civilizations or era) is presented as whole and in a truthful manner, as close as possible. We should not let the young ones to look back and see things differently. Remember those days when some of us “used” to take the BUS? Some of you who use the bus for daily commute to work may be wondering what the hell BJ is taking about but I have admit – it has been quite a while since I last took a bus (these days the routes gotten so confusing). I drive these days and despite the ever increasing toll and petrol prices these days, I have not resorted to taking the bus. Not that I do not want to but there is no bus that goes from my “house front door” to the “office front door”. Besides, it is easier to drive if there is a need to meet with customers. But there was a time when I had nothing to take but the bus to get from Point A to Point B (taxis were too expensive those days). My first encounter with KL, Klang & Port Klang Omnibus was when I was still young – perhaps when I was still a baby. The earliest recollection of the KKPK buses is that their signal lights were shaped in the form of an arrow and they had this huge menacing looking front (having red as the colour of their body did not help much). As a young boy, it was scary to be standing by the roadside as these monsters passes us by. Unlike these days, we will have a bus conductor whose main job would be to collect the money and pass us the tickets (it was so colourful, me and my siblings used to have the whole collection – ticket pricing more than RM1.00 was rare ones). Conductors had their own styles when issuing tickets – some punch holes, some just tears them. The bus conductor also acted as the 2nd eye for the driver at the back and occasionally steps in for crowd control (no one was more capable to say “masuk dalam, masuk dalam” (go in, go in) and the crowd obeys it without fail). Another thing that caused an interest when I took the bus was the bell to tell the driver that we wanted to get down on the next stop. There were two types of bell that I saw – the single bell with words “Press Once” around it or the long rubber line design when came in much later. The long rubber line design was more efficient because the line ran from back of the back and to the front – the bell rings no matter which part of the black rubber that we touched. Interestingly the KKPK buses were not that “loud” as compared to the old Toong Fong buses (their engines tucked away from the interior). TFO buses ruled the trunk roads to my grandma’s house – so if one needs to go to grandma’s house, we need to either go all the way to Pudu Raya where TFO had several platforms to themselves or go to Salak South Garden where we can hop on the same bus half way the journey. My dad is usually be working on the weekends so normally it is up to my mom to bring us to see grandma – a strong beloved lady who will make the trip herself (on her own) to see us. When I had to take the TFO bus from my grandma’s house to school in KL, it is a ritual that starts almost at 4 in the morning. Because it is was a long journey from Serdang to KL and the traffic jam that comes along with it, my dad made sure that we took the first bus to KL on the dot, every schooling days. Waking up so early in the morning although was a torture in itself, enabled us to get the best seats in the bus and sleep the whole journey to KL. Seeing us so frequently, the bus conductors soon got close to us and sometimes it helped as the bus waits for us if we are seconds late to the bus stop. Bus conductors also wake us up if we overslept for the journey to KL or from KL. We call them – Sri Jaya bus. This bus ran from what was known as Klang Bus Stand to Brickfields but this was not the usual ride that I often took to go to school (unless of course, if one is going to Bangsar or Pantai Dalam – SJK buses are the “main” buses to take). 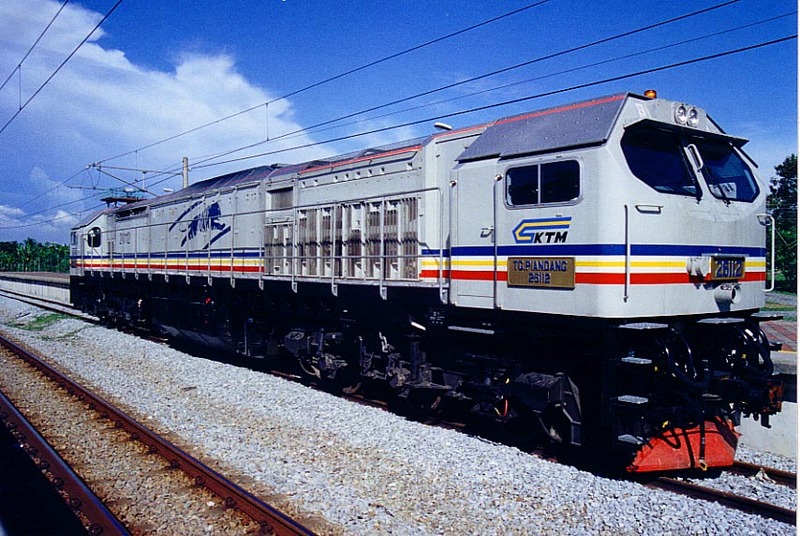 Compared to Toong Fong, they were quite bland (including the ticket design) but it had its own unique interior styling – the seat design was a bit different (SJ was using a lot of Isuzu models whilst the rest was using TATA or Hino). I recall once when me and my school mate, Punendran had an argument when it came to SJK and TFO – which bus was the fastest. Needless to say, we both won on our arguments without much evidence. But I will always remember SJK for one thing – this was the bus when I heard great 1980s Tamil song early in the morning when I was going to school. It just happens that the driver is an Indian driver who had a simple radio setup at front and he had nothing but Illayaraja 1980s hit songs. It came to a point where I was willing to miss couple of buses just to pick this particular bus for my trip to school. Of course, other than the above 3 – I had my share of experience travelling in Metrobus, CityLiner, Intrakota, Rapid KL and not forgetting the notorious BMW (Bus Mini Wilayah – where I once travelled from Old Klang Road to down town KL with just one foot on the stairs whilst one hand holding the hand rail. And who can forget the usual shout from the conductor asking us to make 2 lines in the cramped standing area and then the conductor squeezing in the middle to collect the money?). But these came in after I started with college and soon working. I was already itching for other alternative mode of travel – biking. It is the time of the year again for a quick review of the path that this blog have taken throughout the year 2009. Slumdog Millionaire won 8 Oscars! Can Malaysia be trusted to honour agreements? Will Malaysian politicians adopt a code of ethics? Happy New Year and Happy Holidays everyone!